Habal-Habal is one of the most popular fun rides in and out of Davao City. In fact, because of its extreme popularity among locals and definitely a favorite of foreign tourists, it has now become, as it is rightfully considered, an iconic public transportation particularly in the provinces. 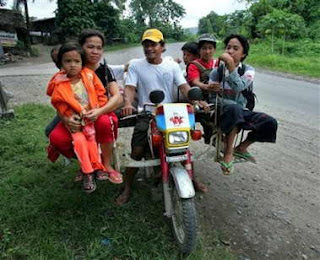 This highly improvised two-wheeled single motorcycle is usually ridden way beyond its passenger capacity and can unbelievably carry 5 to 6 or more passengers effortlessly, and can only be found, where else, but only in the streets of the Philippines especially in Mindanao. While fares vary depending on destination, distance traveled, and the itinerary of the day, there are no standard fees as each driver charges differently. The etymology of the word "habal-habal" is derived from the local Bisayan term for animals "copulating," or "habal" probably because of the position of the riders which somewhat mimics the act of animals copulating. Interestingly, "habal" is repeated and therefore signifies pseudo mating. A stand-alone word that is repeated would usually mean that it is not the actual act of copulating. Habal-Habal is now used interchangeably with the word "Iskaylab," believed to be taken from the damaged U.S. space satellite named "Skylab" that plunged to Earth from space in 1979. 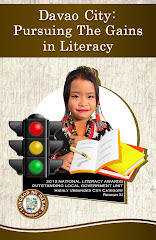 Other conflicting account suggests a contraction of the phrase "sakay na, lab!" which literally means "get on, love!" 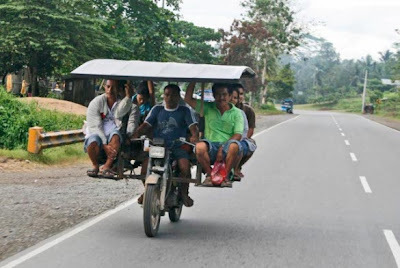 Personally, it is my opinion that the term was most likely adopted from the former than the latter because of the wooden plank extension placed at the back seat across the motorcycle's main body which serves as additional seat to hold more passengers and, therefore, closely resembling the Skylab and its protruding satellite wings. Often, the wooden extension also serves to carry, along with the passengers, baggage, vegetables, and at times even animals. The sight of a habal-habal is a spectacle in itself to behold in awe, as it never fail to amaze me to see and wonder at how the driver manages to balance the passengers seated on both sides of the wooden plank extension plus the additional burden of another rider at his back. 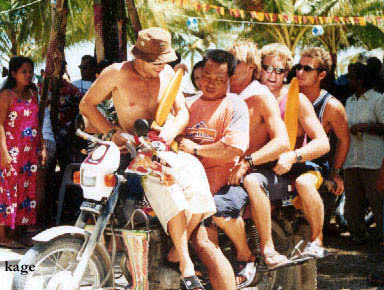 As most locals say, you have never truly experienced Davao if you have not ridden a habal-habal particularly when touring the different tourists attractions in the City and adjacent islands. This mode of transportation, however humble and lowly it may look, has rightfully earned its reputation as the most reliable means of public carriage (though oftentimes the only transportation available in most remote areas) which will surely get you easily and quickly even in far flung hinterland and rugged terrains of Davao in a fun and exciting experience. 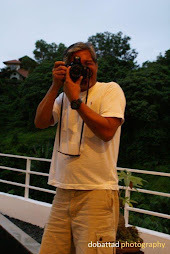 Thank you KULAPITOT for following my blog regularly and for leaving your comments. Best regards. Nais ko lang sana malaman kung pinahintulutan ni mayor du30 ang habal habal sa davao city? Kasi sa makati meron terminal ng habal habal kaya lang hinuhuli ng awtoridad. Anyone sa mga taga davao city, please comment.